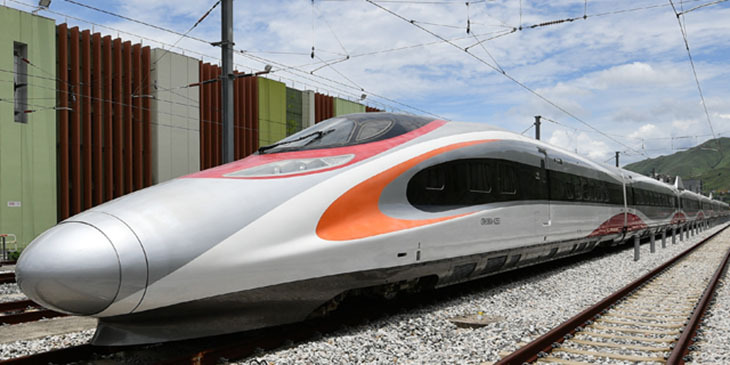 Following years of delay and cost overruns, the 26km rail link connecting Hong Kong to mainland China’s high-speed rail network was finally launched on Sunday. With the Guangzhou-Shenzhen-Hong Kong Express Rail Link (XRL) now complete, travellers will be able to ride from Hong Kong to 44 destinations in mainland China destinations without changing trains, making the city an ideal starting point for multi-destination journeys through China. In particular, the new rail link puts Hong Kong in easier reach of nine neighbouring cities in Guangdong province and heralds a major boost to tourism in the Greater Bay Area. With frequent direct high-speed trains linking Hong Kong to Shenzhen and Guangzhou in as little as 48 minutes, travelling within the Greater Bay Area will be faster and more convenient than before. The Hong Kong section of the High Speed Rail network runs from West Kowloon Station. Visitors can enjoy views of iconic Victoria Harbour by walking along the Sky Corridor on the station’s rooftop. The tourism hub of Tsim Sha Tsui ls is a short walk away from the station, which is also connected by public transport to neighbourhoods including Sham Shui Po in Kowloon, or Old Town Central on Hong Kong Island. Directly outside the station is Hong Kong’s new arts and cultural hub, the West Kowloon Cultural District. The hub will soon offer visitors the opportunity to enjoy exhibitions, performances, and cultural events. Capitalising on the increased connectivity from mainland cities, the Hong Kong Disneyland Resort (HKDL) opened a guest service centre at West Kowloon Station on the same day XRL commenced service. Named the Magic Gateway, the disney centre will provide in-town check-in, baggage transfer and free shuttle bus service for guests with a reservation at any of the three Hong Kong Disneyland themed hotels. Magic Gateway will also provide information on HKDL offers, and electronic park ticket purchase service.